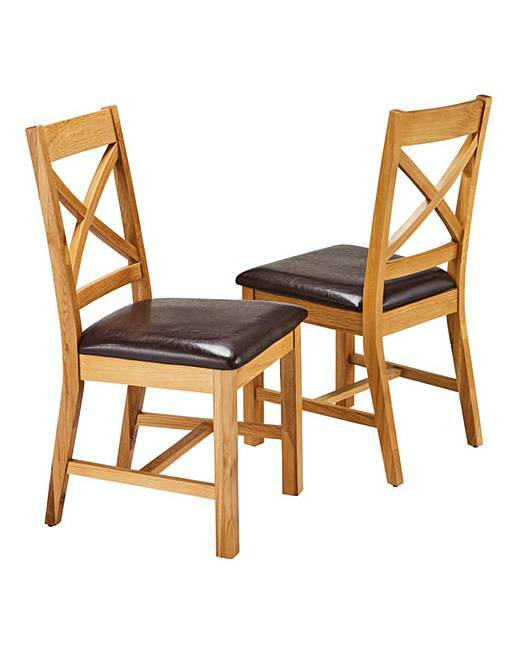 The Norfolk Oak Veneer Pair of Dining Chairs are part of the Norfolk Dining range. 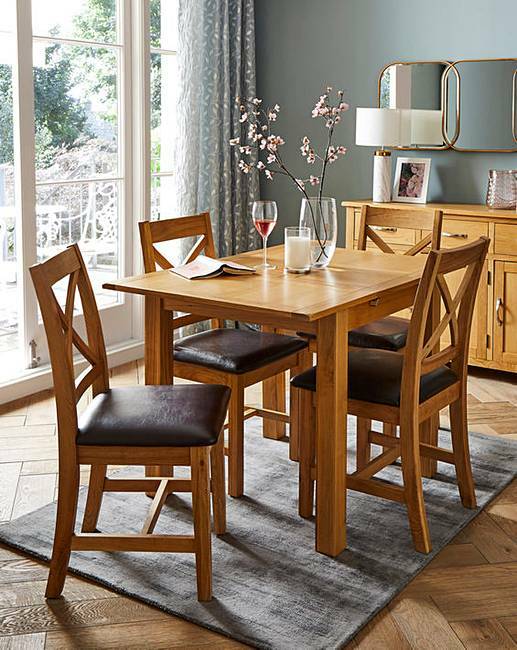 A beautifully finished country inspired oak dining range. Crafted from solid oak and oak veneer that is lacquered to enhance its natural grain. The chairs have cushioned faux-leather seats with a cross back. The Norfolk dining chairs are the ideal accompaniment to any dining room and complement the Norfolk small or large extending table perfectly. Ready assembled. Chair maximum user weight 25st/160kg. H.92 x W.45 x D.50 cm. Seat height from floor 43cm.